Yami Bakura: Now Lets Play Some Serious Games Lets Say We Put Some Things On The Line Say If You Can Answer 3 Riddles Ill Give You 2 Progress Points And 1000 DP But If You Fail You Must Fight Me In A Shadow Game!! Understood? Yami Bakura: Riddle 1-Brad stared through the dirty soot-smeared window on the 22nd floor of the office tower. Overcome with depression he slid the window open and jumped through it. It was a sheer drop outside the building to the ground. Miraculously after he landed he was completely unhurt. Since there was nothing to cushion his fall or slow his descent, how could he have survived the fall? Was He On The Outside To Begin With? Riddle 2-Four men sat down to play. They played all night till break of day. They played for gold and not for fun. With separate scores for everyone. When they had come to square accounts. They all had made quite fair amounts. Can you the paradox explain. If no one lost, how all could gain? Where The Men Playing Golden Instruments? Yami Bakura:Damn But You Wont Get This Last One. Riddle 3-What is it the more you take, the more you leave behind? Admin:1000Dp Was Added To Joe,2 Progress Points Were Given To Joe,Joe Grew To Lvl 2. Yami Bakura: Any More Willing Members To Challenge I? If You Lose A Riddle You Automaticly Lose The Shadow Game Due To Not Enough Cards. 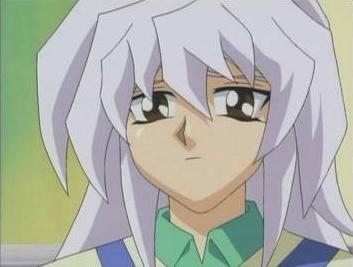 Yami Bakura: Ok Finally New Member. Riddle 1-Be you ever so quick, with vision keen, by your eyes, we are never seen. Unless perchance it should come to pass, you see our reflection in a looking glass. What are we? Riddle 2-You use it between your head and your toes, the more it works the thinner it grows. What is it? A a bar of soap? Riddle 3-What can bring back the dead; make us cry, make us laugh, make us young; born in an instant yet lasts a life time?